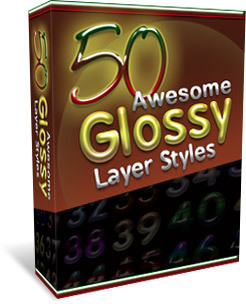 The layer styles can be applied to ANY Photoshop layer, not just text. So you can easily create things like order buttons, checkmarks, bullets, and all kinds of other graphics. You can pretty much turn ANY plain graphic into an awesome and shiny one. And this can be used for web AND print (300 DPI) graphics.